For centuries, humans and rabbits have battled for garden supremacy. Beatrix Potter immortalized this struggle in her story, "The Tale of Peter Rabbit." Peter and his siblings were interested in chomping the young vegetables in Farmer McGregor's garden, but real rabbits are just as likely to eat flowering annuals and perennials. Though no plant is completely immune to an extremely hungry rabbit, there are many lovely flowering species and varieties that are relatively unattractive to these voracious eaters. With careful selection, it is possible to enjoy three seasons of bloom with little rabbit damage. Rabbits will generally avoid the following spring bloomers: columbine, daffodil, crocus, bleeding heart, fleabane, iris, forget-me-not, catmint, hellebore and violet. Summer is high season in the flower garden. 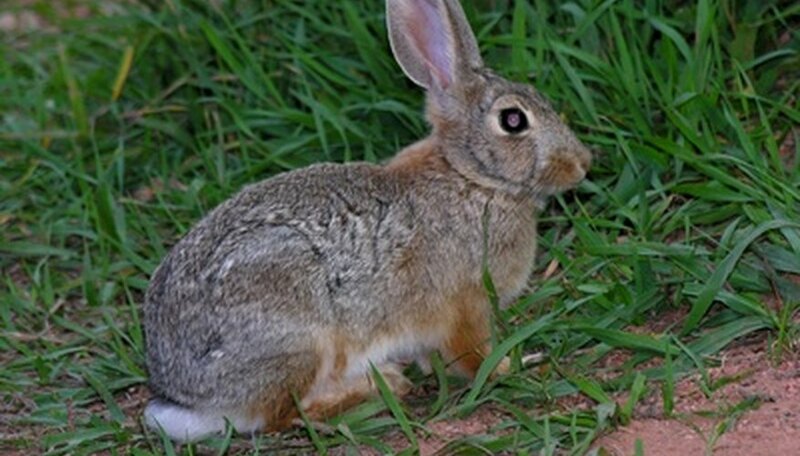 Rabbits will most likely turn away from: ageratum, campanula, impatiens, scabiosa, cineraria, cranesbill, California poppy, coreopsis, yarrow, foxglove, coneflower, gaillardia daisy, daylily, amaryllis, astilbe, monarda, verbena, candytuft, red-hot poker, salvia, lamium, poppies, rudbekia, veronica and penstemon. Many summer blooming plants continue throughout the fall. In addition, rabbits dislike aster, dahlia and cyclamen.